WSUP has partnerships with a range of companies and their foundations. Borealis has supported WSUP since 2014 in Kenya and more recently in Mozambique, improving sustainable access to water through building the capacity of small-scale operators and facilitating an enabling regulatory environment. Find out more about work with Borealis. Cartier Philanthropy is partnering with WSUP to support the development of a functional WASH sector in Madagascar. Their support will improve access to WASH services in Antananarivo, build local knowledge and improve the capacity for sustainable WASH services at the national level. Read more about our partnership with Cartier Philanthropy. The Coca-Cola Foundation (TCCF) and WSUP have been working together since 2011. 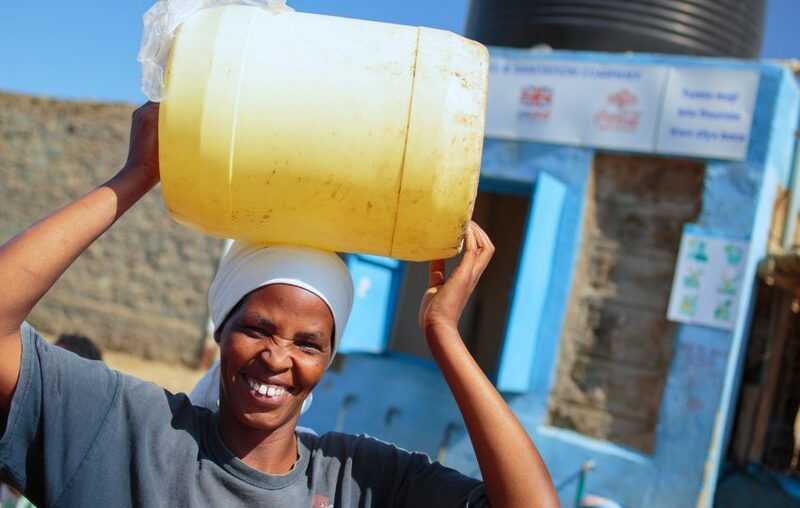 Our partnership, which spans five countries in sub-Saharan Africa, is providing better water services to low-income urban residents through organisational capacity building and infrastructure construction and rehabilitation. Find out more about our partnership with TCCF. ONE Foundation began supporting WSUP in 2016. Initially focusing on improving access to water in Nairobi, the partnership has since expanded to Naivasha in Kenya and Kumasi in Ghana. 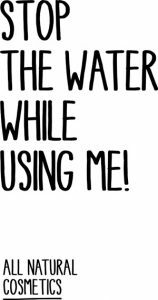 STOP THE WATER WHILE USING ME! supports WSUP through its Good Water Projects initiative. Funding from a company donation and a cause-related marketing campaign, whereby 5% of the profits of a limited edition lemon honey soap, was donated to WSUP, which supported a water kiosk in Madagascar. Read more about our partnership with STOP THE WATER WHILE USING ME! Unilever has committed to improving the health and well-being of one billion people by 2020 under their Sustainable Living Plan. In Ghana we are working with the brand Lifebuoy to change the hygiene practices of children in schools through promoting the benefits of handwashing with soap at key times. To date, the campaign has reached over one and half million school children. Find out more about how Unilever supports us. Vitol Foundation has been supporting WSUP since 2011 across its core countries. The focus of this has been on achieving systemic change in the WASH sector through demonstration of replicable and scalable service provision models. Financial contributions of any size are vital in supporting the work that we do. Supporting us in this way demonstrates a company’s commitment to improving lives and enables us to leverage additional funding, increasing the impact of our partners’ support. Donating a percentage of the profits of a co-created or existing product enhances the brand and increases customer loyalty. 91% of global consumers are likely to switch brands to one that supports a good cause, given similar price and quality. Leveraging partner companies’ assets while sharing skills and resources enables us to make a bigger impact and raise awareness, while helping businesses integrate the SDGs into their business strategy. We work with a range of academic institutions and specialist research consultancies to help further knowledge about the challenges and opportunities of urban water and sanitation. Support of WSUP’s Urban Sanitation Research Initiative enables a company to strategically position their brand, while helping us to develop and share our learning globally. Work with our Advisory team to develop focussed urban WASH programmes that incorporate the expertise and experience of WSUP to achieve corporate sustainability and CSR targets in key markets. Attract, engage and retain staff and customers through our fundraising and engagement initiatives. Join a coalition of leading businesses lobbying for private sector commitment to improving access to WASH through their core business operations. WSUP’s series of roundtable events offers an opportunity for key members of your company to learn more about the WASH challenge and the innovative ways WSUP and our partners are working together find sustainable solutions to the urban WASH challenge. WSUP is a valued partner in helping us to build sustainable communities through access to clean water and sanitation service delivery. Their focus on building local capacity and bringing the private sector, NGOs and research institutions together to focus on challenges in urban areas is directly in line with Coca-Cola's community water partnership strategies.